With over 200 beers from nearly 100 breweries at the Cambridge festival alone, and many new brewers popping up, it feels like a really good time for beer. It’s also different. Lots of brewers are producing more and more interesting beers in kegs as well as casks. KeyKegs in particular are a newer form of keg that opens up options for delivering real ale with interesting characteristics. A KeyKeg is, at its simplest, a plastic bottle containing a bag full of beer. Unlike a conventional keg, the gas you pump in to force the beer out and into your glass doesn’t touch the liquid. It flows around the outside of the bag, pushing the beer out of the keg without it becoming too fizzy. As the KeyKeg isn’t open to the atmosphere, you get all the natural, live-yeast carbonation of real ale, but without the risk of the beer gradually going flat. It cuts down on the chance of off-flavours developing from oxidation, too. Of course, some air space improves cask ale as its flavour develops over time. So there’s a trade-off. 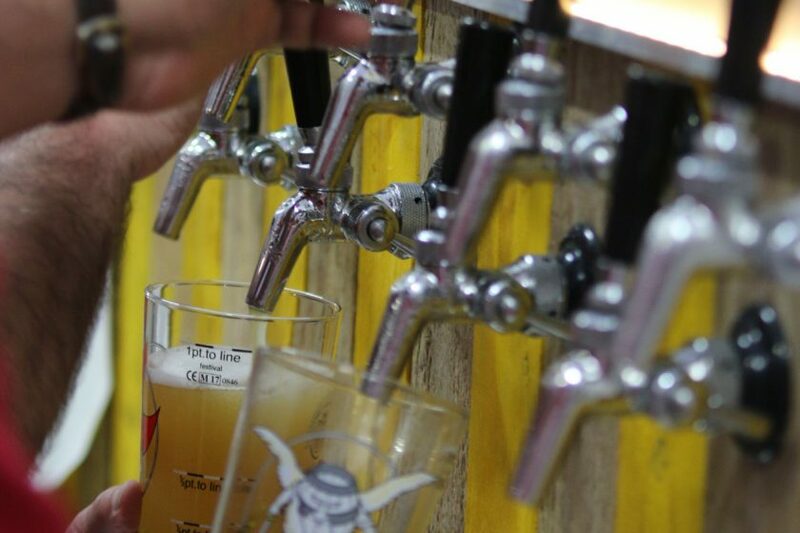 Different serving mechanisms suit different styles of beer, and having KeyKeg at the festival gives us more options. For example, most bitters, and quite a lot of porters and stouts, will work best in a cask. They’ll condition lightly, change gently over time, and the initial air exposure when the cask is tapped and vented will dissipate any of those odd flavours and aromas you can sometimes get with cask conditioning. But the highly-hopped IPAs, saisons, and really dry stouts we’re seeing a lot of now are a different story. They’ll often serve better at a much higher carbonation, and want to avoid losing any hop aroma to the air before they hit your glass. Some of them are better colder, too. This is where KeyKeg can shine. It lets a brewer put those delicate, intricate aromatics front and centre, or keep a slightly-sour saison fizzy and zingy. There are other ways of brewing like that, of course, and we’d love it if people compared. We have a dedicated British KeyKeg bar, and we’ve made sure that a few of the beers are also available on cask, so you can try both. A list of KeyKeg beers available at the 46th Cambridge Beer Festival will be available nearer the time.